This is a guide which will explain you how to recover a password in your Mac OS X if you forgot or lost it. You will need an Apple installation CD if you want to reset the password. Insert the CD and press the C button when the booting from the CD starts in the computer. Then a dialog box opens and you have to select the language and proceed to the utilities step. 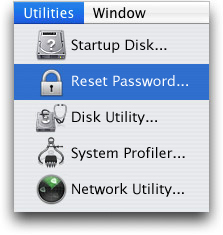 Here there are 2 ways – If you are using Mac OS X 10.4 then you have to select “Reset Password” under the utilities menu. 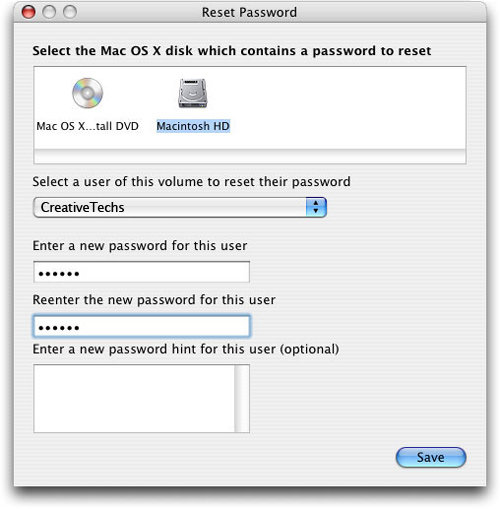 If you are using Mac OS X 10.3 or lesser, then the same Reset password option will be seen under the installer menu. You have to select the hard disk that you are using and for which you need the password resetting. The correct username and new passwords have to be entered into the boxes. After you set the new password, you will see a new dialog box stating that the password is reset and then you will have to quit the utility option and restart the computer. And then its done. When you restart the computer, the new password works and you will have to use it to login. I’m glad you share this tip as I’m a Mac Power User and this may be useful lest it happens to me. Who knows? I’ve bookmarked it for future reference. Thanks Yan 🙂 Glad you liked it..